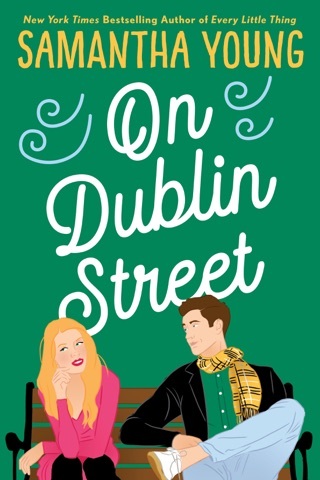 Young (On Dublin Street) weaves a melodramatic tale of incompatible strangers who can't fight the physical attraction between them. When Ava Breevort is nearly knocked down by the tall and brusque Caleb Scott in the Sky Harbor Airport, it sets off a chain of unfortunate events that tests believability. Soon the two of them are having altercations and public dressing-downs from the Sky Harbor coffee cart to the first class seating section to a layover in O'Hare Airport. That layover turns passionate, and then into a week-long arrangement while Caleb is in Boston for work, which becomes semipermanent. Eventually, romantic feelings start to form. Caleb's curt arrogance makes him a difficult character to sympathize with, especially given Ava's history of emotional neglect and trauma. By contrast, Ava is a kind and sympathetic heroine who is not afraid to speak up for herself. Ava's best friend tells her that she deserves better, and that the way Caleb treats her is unacceptable; readers will agree. Titillating sexual chemistry and strong female friendships are the true strengths of this wild, implausible ride of a story. I’ve got a confession to make. I almost didn’t read this book because I got swayed by a few negative reviews. I halfheartedly skimmed the start of the book expecting to dnf. Silly me. Before I knew it I was totally wrapped up in Caleb & Ava’s love story and had finished the book in one sitting! I loved this enchanting enemies to lovers book. Yes there is a lot more hate than love at first and Caleb is a growly, rude Scot, but that’s kinda what makes him endearing. They fight, they love, he says hurtful things he regrets, but don’t we all? I thought it was a great story full of sparks & sass and wonderful secondary characters (Harper & Jamie) who deserve books of their own. Lesson learned- don’t let other people’s opinions influence you. Everyone has their own likes, dislikes and triggers, but I would have been sorry if I had passed on this book because of what someone else thought. This was an entertaining read. It had a good mix of light, steamy, and depth. Ava and Caleb had that passionate strong connection. These two went back and forth between enemies to friends to enemies to lovers to friends, etc. Whew these two were giving me whiplash. As the story went on you just never knew what they would do but it made for a fascinating read. I enjoyed getting to know Ava and Caleb as the story progressed and they got to know one another-there was so much more to them than the initial meeting. This book had a lot of different facets to it and is so much more than two people with great chemistry. And I liked them all as they gave the book a more deeper feeling. Overall, this was a splendid read. Fun read with great banter! 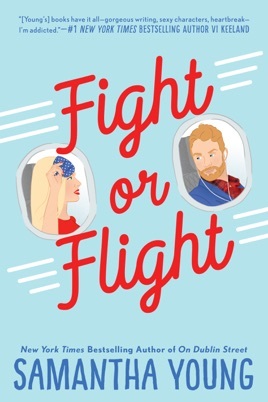 Fight or Flight by Samantha Young was a fun read about chance encounters between two people who do not like each other…at first. But when life keeps throwing them back into each other lives, what can you do? 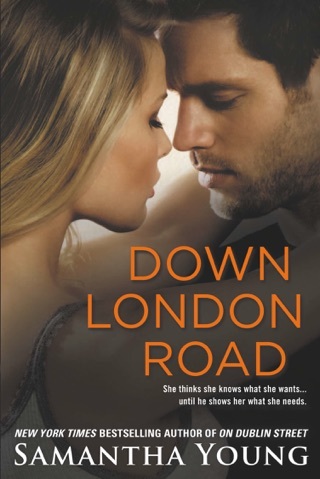 Ava Breevort is on her way back home to Boston when she meets the insufferable Caleb Scott. Though they do not like each other, they somehow unexpectedly end up in bed together. Then they move on never expecting to see each other again. Or so they thought! But life definitely had other plans for these two. Though they appear to dislike each other with every encounter, their chemistry is undeniable. I was drawn in by their interactions and absolutely loved their banter. When this temporary situation turns into something more permanent, will they fight for what they can have or will they walk away from all they can be? I truly enjoyed reading Fight or Flight by Samantha Young. I loved the back and forth between Ava and Caleb and their unquestionable connection. This enemies-to-lovers romance was funny and engaging and one I highly recommend.